Chalk up another server first for SR as we went in last night and cleanly put down the Sha of Fear (lol) on our second attempt. 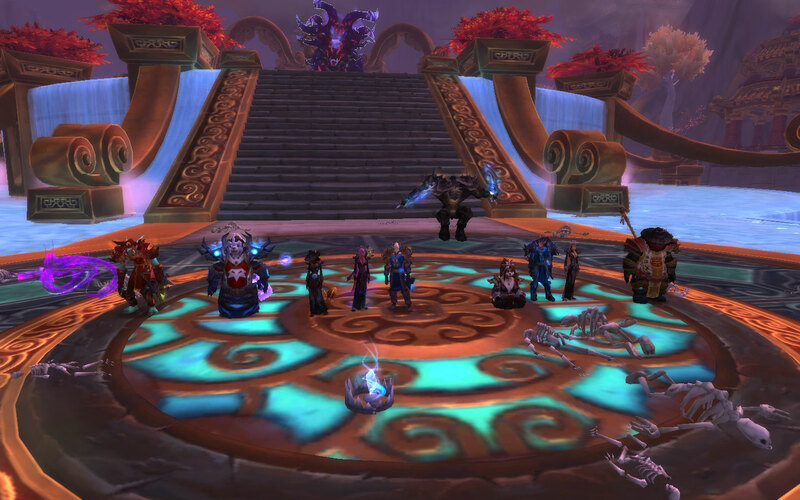 Left to right: Zarm kitty, Wok, Lyssianna, Liyhe, Vanicus, Shadeey, Arvash, Zugzuug, Sorak, and Adoe. Don’t ask me about Horridon, just … don’t. 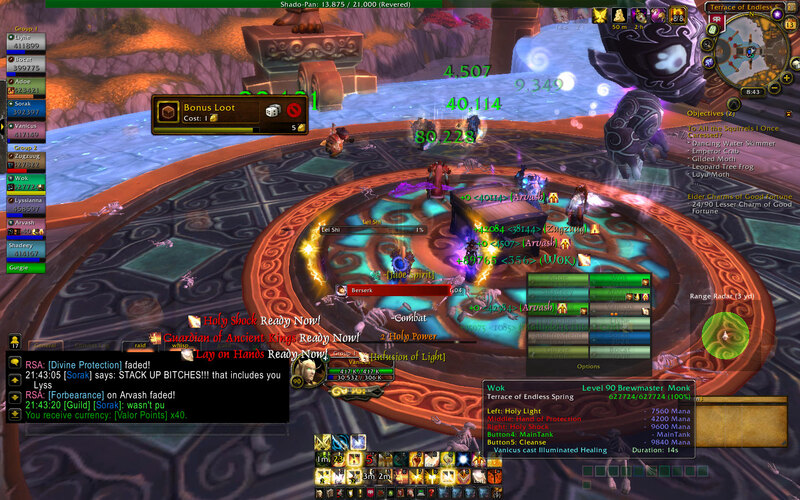 As I predicted yesterday, we took a few pulls to get the adds under control, but ultimately prevailed against Lei Shi. 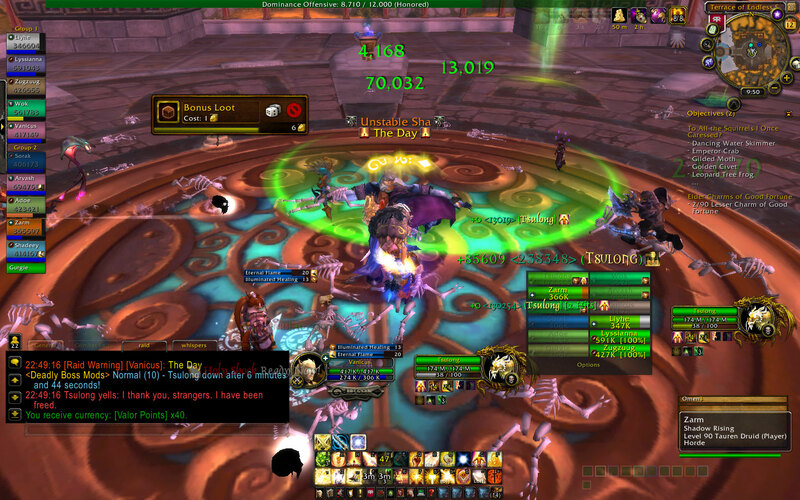 We had everyone stack in the center when they came out and our mage Shaadey put down a Circle of Frost. 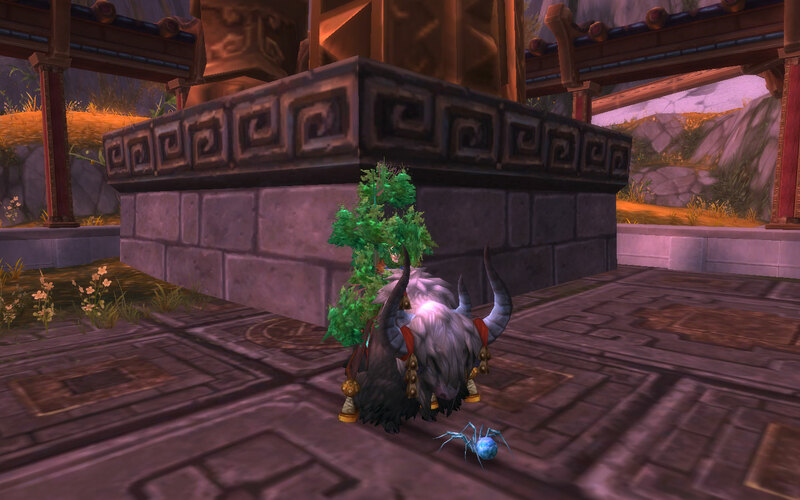 It holds them long enough for the shaman and lock to Bind Elemental/Banish. On the 40% and 20% phases where there are 4 instead of only 3, we fear bombed the extra one. I threw in a Blinding Light to disorient them if we ran into trouble. Hey a shot with all 10 of us in it! 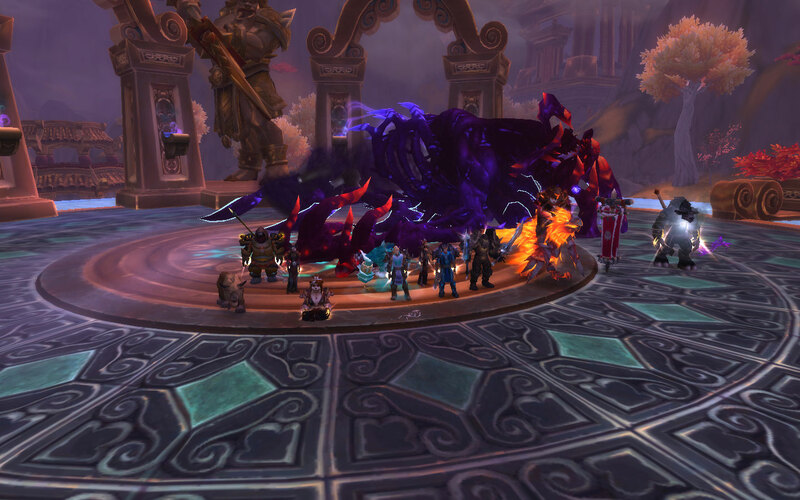 L to R: Adoe, Sorak, Lyssianna, Bocat, Vanicus, jumping Zugzuug, Liyhe, Arvash, Shaadey, and Wok. You can see the Sha of Fear there in the background. He’s next. He … is not going to be done in a few pulls. He is going to make me cry. Jerk. Not a great shot but oh well. With our full team in place and having studied healing strategies and tips beforehand, we went in prepared to either defeat or save Tsulong. It took a fair number of pulls, but we eventually got it all put together and fine-tuned … enough so that we healed him to full with some time to spare. I have mixed feeling about these types of fights. On the one hand, it forces me out of my comfort zone and makes me think about how I am using my spells and how I can get more throughput out of them. I tend to lean heavily towards the efficiency side of things … I use the smallest thing that will cover the damage taken, and don’t always heal people up to full if it’s not totally necessary. So for me, pumping out as much healing as possible is outside of my normal pattern. On the other hand … it forces me out of my comfort zone and makes me think about how I am using my spells and how I can get more throughput out of them. It’s never a bad thing to learn more about how your spec works and get new ideas on what/how to use your abilities. So … last night was pull after pull of Tsulong. I know as a healer I am supposed to enjoy the challenge of a so-called ‘healing fight’ (the Day phase where you must heal Tsulong) but … bleh. We’ll have to see what happens next week. 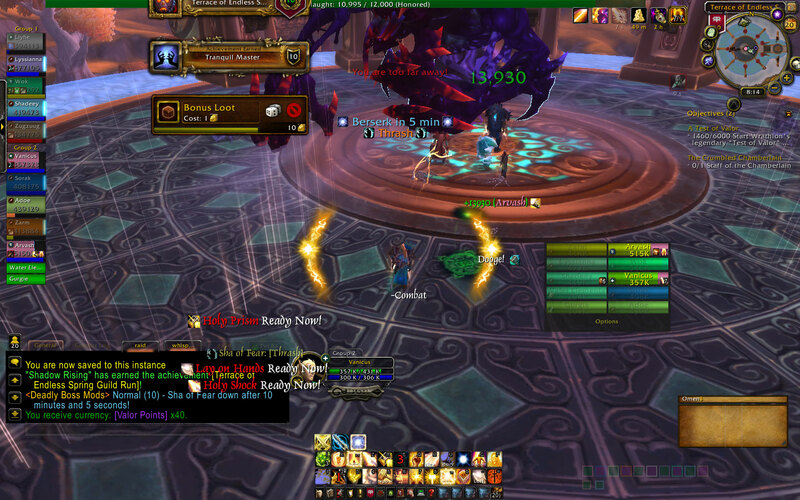 We’re getting to the enrage so, like usual, it’s just a matter of fine-tuning and squeezing more dps/hps into it. The most fun I had was hiding in the Enchanted Plant on the edge of the room. Anyone have any idea what this thing is for?